During my stay in Guatemala I took a trip to Tikal National Park. The shuttle picks you up at 4:30am and it takes just over an hour to get there, so that you can go straight in when the park opens at 6am. If you go early you have a better chance of seeing the local wildlife, which is a bonus. 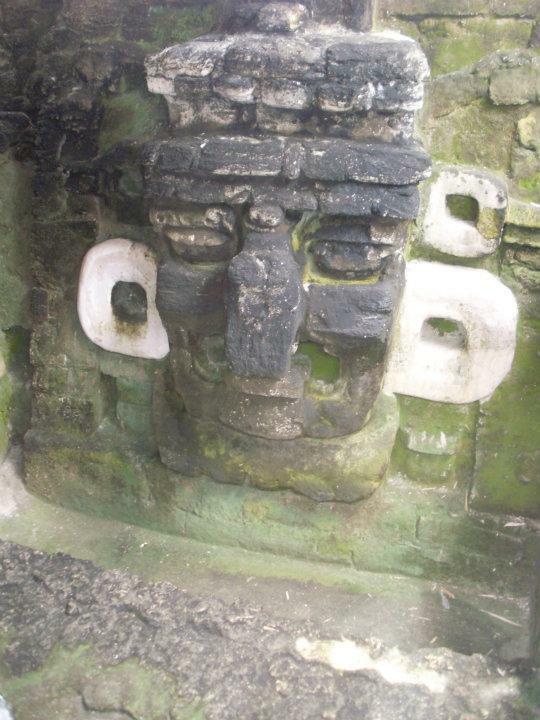 The downside is that there are always people from the hostel going to Tikal, so you get woken up every day at 4am! By pure chance, I got on the shuttle to Tikal to find that Daniel and Andrew, who I had left the week before in Caye Caulker, Belize, were now in Flores and on my shuttle to Tikal. It is a very small world when you are travelling "The Gringo Trail" through Central America. You either see the same people over and over again or you cross paths with someone going in the opposite direction and you never see them again! The Tikal Archaeological Site is tucked away in the vast Petén Region that covers 222 square miles of lush jungle in the northwest corner of Guatemala. Here lies the ruins of "the most magnificent archaeological site and important Maya citadel in Mesoamerica" or so they say. The park was declared a UN World Heritage Site in 1979 and is the largest excavated archaeological site on the American continents and is one of the most important natural reserves of Central America. They actually let you climb all the pyramids and temples, which I think is insane. It damages the ruins, but I guess tourism revenue is more important. Also the steps on the temples are very steep; it's actually harder to climb down them, then up. Supposedly, a woman fell down one a few years ago and died. To prevent that happening again they have roped off that particular pyramid, but you can still climb all the others?? Retarded or what? There is no such thing as "Health and Safety" in Guatemala! Overall, it was a pretty amazing day! I saw some monkeys, climbed some ruins, got some exercise, met some old/new friends and had the best panoramic view of the jungle canopy you could ever ask for. It was well worth the 4am wake up!